I’m wearing the Alabama sweatshirt today because I’m celebrating a deal a student of mine made today in Alabama. And my guest, Brian Trippe, gave me this sweatshirt a while ago. Brian is a huge admirer of the Real Estate Investing Mastery podcast—he’s been listening for years. He made $10,000 after 45 days in this business. He believes getting that first check literally changed his thinking. ; it made him believe in himself and made the real estate dream real. Brian started a REIA in Birmingham, Alabama a few years ago and it’s a very successful group. He’s gotten away from the Real Estate Investment Association name though, mostly to avoid the sales pitch connotation. He’s recently started REI Live. He puts on live events in cities around the country that focus on real estate investment education and networking. And guess what? Networking leads to deal making! REI Live is working on building a real estate investment community in cities everywhere. The focus is on Millennials. He helps already-influential operator/coaches start the communities locally. Brian believes old-fashion sales are out. Now value-based sales are the model. Give things away from the front of the room, rather than trying to sell from the stage. Brian’s knowledge and connections are a big value. Brian coaches people who really have a desire for it. Since networking is key, go to your local REIA even if you dislike going. Generosity in the business world is what makes people want to do business with you. Joe: Hey, let’s do it. This is Brian Trippe. Brian guess what I’m wearing today? Bam, you took the words out of Tom Carl’s mouth. It’s not for the reasons that Brian thinks, although he gave me this. Brian of course, is from Alabama. He’s a huge Clemson fan and he’s a closet Clemson fan. Brian graciously gave me the sweatshirt. A boy, was it a year ago, Brian? Brian: Yeah, yeah, going on a year and a half ago when you came to you came to Birmingham in November of 2017 we gave you some gifts. Joe: Yes. So I like the sweatshirt, but get this Brian. 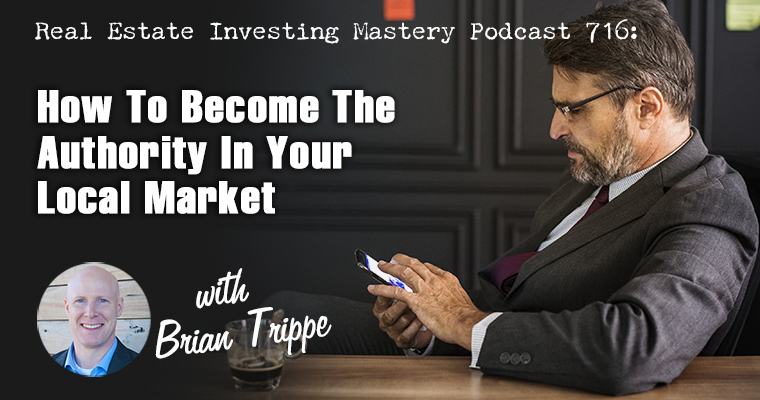 Oh, by the way, everybody, hey, this is The Real Estate Investing Mastery Podcast and I got a special guest, Brian Trippe on the show today and a welcome Brian. I wanted to tell everybody this story first though. The real reason why I’m wearing this sweatshirt today is I just got off the phone this morning a couple hours ago with one of my students named Marty and she, do you know Marty by any chance? Brian: I know Marty, yes. Joe: Okay. She is in the middle of this deal, she’s going to be making about $900 a month in cash flow on this deal. It’s a creative lease option deal and I was super pumped and excited and man, I know you’re the same way Brian when you see a student or somebody in your REIA’s, one of your REIA groups doing a deal, man, it’s like the one of the greatest highs in business. Like doing your own deal is cool, but seeing one of your students seem one of your clients do a deal is like off the charts amazing awesome. I was like jumping around I was so excited because she had pursued this seller for over a year. You know this and this was a little small town, about 10,000 people outside of Birmingham, a little small town and she got this deal. Joe: She’s worked out this creative deal because the numbers are kind of tight. But she agreed, she got the seller to agree to pay the mortgage and she’s not paying any rent on this lease option for the first two years. And then after that it kind of changes a little bit, but super cool deal. I was so excited for her that she had, was like so persistent, kept on following up and she’s from the great state of Alabama. Brian: That’s right. So you have to represent. Joe: I have to represent. Brian: You got your Alabama hoodie on, roll tide. Joe: So, but welcome to the show Brian I’m glad you’re here. I thought you’d like that story because maybe you know, Marty, I don’t know if you’d do or not, but she’s such a cool lady and I love Alabama. We’re doing deals now in Birmingham. Me and Gavin, with one of our students, Melissa, I don’t like calling her a student because she’s like a professional rockstar investor now. But we met her, we met her in San Diego, she went to one of our workshops, but I met her another time at one of your real estate clubs in Alabama in Birmingham. Joe: You have a great group there and you’re now starting some other real estate clubs around the country and I wanted to get you on the podcast to talk with you about that. So can you first give us, tell us, tell everybody here a little bit about you, Brian, and I’m going to be really fancy here and I’m going to show your name over the bottom there. So watch this, are you ready? Joe: Boom, do you see that? I even spelled it right. Brian: You spelled it right and you’re saying it right? Joe: Yes Brian Trippe. So tell us a little bit about yourself, Brian. Brian: Yeah. Well, first before I do, thank you Joe so much. Before I do I want to thank you publicly again, and I’ve told this story many times and I’ve told it to you. The Real Estate Investing Mastery Podcast was the very first podcast I ever found when I first started my real estate journey in 2012 and I think that, you know, just like the, you know, the radio and announcements, I wasn’t alive, you know, in the fifties and sixties when people are listening to the games and stuff on the radio. Brian: But just like your radio announcer, you get to know their voice, even a TV personality you get, you feel like you know them very, very well. I feel like I really got to know you for many years before I ever met you because I’m following along with you every single week. You and Alex and I just want to thank you for what you do for the real estate investing world, putting out so much valuable content for free. It blew me away that all this valuable stuff was free. So I just want to thank you for what you do and for having me on the show. Joe: Thank you Brian. I appreciate that. That’s inspiring because, you know, anytime ,it doesn’t get old hearing people tell you that they love the show, they like listening to it I appreciate that very much. I really do. Brian: And it just kind of, it really helped kind of propel my trajectory of, you know, just being involved in real estate. Just like the students that you mentioned. People I’m very familiar with in my town, Marty, who’s a great friend, Melissa and Kerry who have been great friends of mine for many, many, many years. So just to see the success that they’re having is awesome. Brian: But to tell you just a little bit about me, I got my start in 2012 I went through a big box real estate company I used Rich Dad education to get my start in real estate. I don’t really talk good or bad about them, I think that they did a lot of good things. There are a lot of things that were lacking, especially the local component. Having the local component, which I think is important to understand the local streets, the local community. Birmingham is very different than the rest of the country. So that’s how I got my start. I made $10,000 after 45 days in the business on just a wholesale deal, made every mistake in the book and was just persistent with it and just stuck it through and got that check. Brian: Man, I don’t know if people who are listening we’re a little bit like me, but when I first got that check, it actually transformed my thinking. I think the more I do this and the more I coach and teach, the more I realize that psychology plays such a huge deal in our successes and obviously I’m not the first person to ever think that way. People have written books for many, many decades about the psychology of success but it really does start with yourself and in your own thinking. I had a limited belief I didn’t know that I could ever do that. Brian: Kind of came from a tough upbringing and never thought that I could actually be successful to make $10,000 in one chunk of money I’ve never done that before in my life. Never thought it could be done. So it just made the real estate thing real to me. So that’s how I got my started built a big wholesale business here with Joe’s help actually in about 2015,2016. Joe: Was like that not that long ago. Was it that short ago? Brian: Yeah. So we were really, I went full time with wholesaling in early 2014 and struggled kind of roller coaster ride and I hired you and Peter to help me in probably late 2014 early 2015 and consistency was my biggest issue. And you guys really just kind of helped, you know, kind of whip me into shape from a consistency standpoint. And then, you know, I never wanted to be a wholesaler to be honest, I actually resisted wholesaling for a long time. I thought it had, it had a negative connotation, not just in the community but with me personally, I wanted to be a real estate investor and I kept hearing you say over and over on your podcast that if you’re a wholesaler, you’re not an investor, you’re a marketer. Brian: And I’m like, well, I want to be an investor. So I always resisted that and I just, I wanted to be an investor. So in late 2016, we scaled our real estate, our wholesaling business way, way, way back. Our overhead was out of control and I just wish I’d made enough money where I just wanted to start, go and buying rentals. I bought a multifamily, I bought a, where my office, where I’m sitting today, I bought a six unit office complex and, and just started being an actual real estate investor. And then, you know, one thing led to another and you, I was in a room with you and Sean McClosky where you guys urged me to start a REIA, which I did in January. Joe: So glad you did man. I had no idea. You’re going to take us seriously and take it as far as you have. I’m so happy for you and proud of you. That’s awesome. Brian: Well, I appreciate that and I think the more, the more I do this, I keep coming back to that. The longer I do real estate, I understand that, and this is a, this is a phrase, I don’t know really where it came from, but I got it from a book called The Power Of Now by Eckhart Tolle. I got this phrase from there where you can, if you want to go far or if you want to go fast, I should say. If you want to go really, really fast, then go alone. And that was me I was going alone I was just going fast and fast, fast, fast. But if you want to go far, you got to go with others and it really does take a team to get to the level of success that you would want to get to you. Brian: You can’t do it by yourself. You’re going to get burned out. You’re going to start to resent it. You’re going to start to hate it. And that’s where I was in late 2015 kind of the middle of 2016 I just kind of resented everything I had built because I was doing it alone for the most part. And you know, the more I do this, I connect with people like you connect them with people like Sean McClosky and just, you know, just recently had a great call with Jason Medley and just things like that. Just people that are been in this business for a long time and they, they get it, that it’s, it’s beyond the deal to deal. I think we get caught up in the deal to deal the day to day and it’s not the day to day, it’s, it’s the long term. Like what are you, what are you trying to do? Brian: What’s going to make you happy? What do you actually want to be and do? What do you want to stand for? And that’s where I first started to really get it and that’s where I am today. You know, you mentioned that I’m doing a bunch of REIA’s. We’re launching, different, we have REI Live. You can see it in my background. Real Estate Investing Live. We’re starting live events all throughout cities in the country. We just launched Atlanta last week. I’m a huge turnout, so we’re very fired up about Atlanta, but we still got our Birmingham group that’s, that’s been awesome. We have groups in South Carolina and Florida, so we’re, we’re constantly growing this brand. So that’s where I am today and I’m appreciative again for being able to come on the show and share this. Joe: Appreciate the kind words it’s humbling. I want to talk to you about first, let’s start with the Alabama REIA. AlaREIA, is that what you call it? Brian: Yeah. We completely rebranded everything. And so here we can get into a whole thing and I, I got to kind of walk on eggshells a little bit because you know some great people who are associated with National REIA and groups that are a part of National REIA and I need to do, and I do too though. That’s the thing, like I know and I respect people that are associated with these organizations. And when I say what I’m about to say, I’m not, I’m definitely not talking about all REIA’s when I say this, but most, and it’s actually the vast majority of REIA’s that it’s just the old way of doing things. I don’t like it. Brian: We changed our name to answer the question because I don’t like the acronym REIA, REIA Real Estate Investors Association. I don’t like that it has a specific connotation associated with it. Some would say it’s negative, some would say it’s positive, but it does have a connotation associated with it and I wanted to get rid of that because it’s very polarizing. It’s very polarizing. People either love it or they hate it. And really the people who love it are actually, I’ve found that are the people that have been in it for a very long time. And what I’ve tried to do is kind of disrupt that industry by giving value first, leading with value. We don’t bring in, as you know, to your dismay, we don’t bring in selling speakers. You know you came, you came to Birmingham and I said, Joe, you can come here and I want you to come here. Brian: I love you but you can’t sell from stage. And we’ve been able to find other ways, other creative ways to help people like you and other speakers, great speakers come in and deliver incredible content and do things like lead capture and other creative things to be able to actually sell their products and services, which you have great products and services. We want you to be successful, but we just don’t want that being sold from stage because again, that’s one of the many negative connotations that comes with REIA. It’s a pitch fest every single month. Brian: Even our local one here in Birmingham that exists, it still exists but we’ve almost put them out of business. No one, no one goes to it anymore because it’s a pitch fest and people are so sick of that. We have, and I wrote a book about this called Nothing’s For Sale and I named it that because nothing is for, you come and we’re not pitching you on a bunch of stuff. People are sick of that and we’re trying to lead with value, which actually is the premise of the book. It actually leads to more sales down the road. So that’s our philosophy. Joe: Yeah. Very good. And you had a great group. I really appreciated the invite. And at first I resisted the invitation because I couldn’t sell my course there, but I went anyway because you’re a friend and I was so glad I did the relationships that I made there the friendships, just hanging out with people. We’ve actually been doing deals with people that I met at the REIA group deals like real estate deals. So, yeah, it’s really good. So you started the, well, what do you call it now anyway? If it’s not a REIA, what do you call it? Brian: It’s a series of live networking events live. So Real Estate Investing Live. It’s REI Live, Birmingham REI Live, Atlanta. I’m a big believer in real estate, real estate is two things. Real estate’s local and real estate’s live. And what I mean by that is the, let’s talk about local first. Real estate is extremely local. And when I first got started, I mentioned this earlier, the missing component for me was the local coach. The person who could teach me on the street by street level and understand that Birmingham’s cash flow. Brian: Birmingham is a cash flowing area, very similar to St Louis where you are. It’s cash flowing area. That’s a huge difference than like in Atlanta that’s just right next door to us or Nashville that’s right next door to us. Totally different types of markets. And to understand those idiosyncrasies, I didn’t have someone teaching me that, which helped me once I learned that on my own, I became a better wholesaler because I actually understood who to hold, what types of properties were best to wholesale here in Birmingham, what properties are best to wholesale lease options, all sorts of different things. Brian: So real estate is local. It’s not just Birmingham to Nashville, Birmingham to Atlanta, Birmingham, Saint Louis. It’s actually Birmingham to Birmingham, St Louis to St Louis. Let’s talk about any market that you’re in. You know that there are, there are different pockets that are doing different things. Even little towns or municipalities that are around your city. Even in those it’s, it can be street to street and there could be a $500,000 house on one block and a $30,000 house two blocks down that’s very common in Birmingham. So to understand that the real estate is local and it will always be local. And then the second component, it’s alive. Real estate’s live. You can do the virtual stuff. I know Joe, you love the virtual stuff, but nothing takes the place of a live event period, end of discussion. You can network all you want on social media, you can meet people in group chats and all these things, but nothing takes the place of that live event. Brian: And that’s what we’ve become. Events specialists put on great live events in different cities all throughout the country to help facilitate network. I’m of the belief that most people don’t even know how to network. They don’t understand what networking truly is. And we’ve just tried to provide an atmosphere and a community and a culture where people want to come and do deals, not come and then we’re going to learn real estate but not come and get pitched. We’re going to come and do deals. And that’s what our focus has been on. Joe: You know, there’s a group in Nashville, I think it is called Deals, Deals, Deals. That’s the name of the group. And I’ve always loved that. So if you ever want to change your name again, you might want to change it to REI Live Deals, Deals, Deals. Brian: And actually grow and learn. So we try to be both the best of both worlds. We want the new person to come. I think what’s really set us apart is we do have the brand new investor coming. We do have the guy that’s just guy or gal is just getting going and then we also have the seasoned people, they want to come and get involved. You don’t see that at REIA’s. You don’t see the seasoned investors that have been doing it for a long time that want to actually help and mentor other people just because they want to give back. We have that going on in our groups. Joe: Nice. Really nice. So why do the REIA though? I mean like what’s in it for you? You’re not allowed to sell anything. Why do it? It’s a lot of work. It’s not as easy as everybody thinks, why do it? Brian: I’m going to come back to my book. Okay, I’m going to come back to this book. This book I wrote called Nothing’s For Sale. And by the way, if you want a copy of this, Joe, can I give away a free copy of this book? Is that okay? Brian: And I’m not going to run people through a free plus shipping bottle. You can get it for 100% free I’ll cover the shipping all you have to do is follow me on Instagram. That’s all you have to do and I’ll pay for the shipping. Again, nothing’s for sale. Follow me on Instagram. Joe: Come on now you’re embarrassing me. Brian: Brian the letter J. Trippe at Brian J. Trippe on Instagram, follow me shoot me a DM and I will send this to you. Put your name, put your physical address in there. I’ll send it to you. You don’t even have to pay shipping. So here’s the key Joe. Joe: So wait, wait, wait, I’m typing this in the comment. It’s at B. J. Trippe. Brian: Brian, B R I A N the letter J and then Trippe, T R I P P E at Brian J. Trippe on Instagram. DM me with your name and physical address and I will send this to you. We send, we send books out every Wednesday. So this is live on Facebook on a Thursday it will be next Wednesday when we send them out. But here’s the answer to this, Joe. That’s a great question. And I love that that’s a question fires me up. If I can’t, sell then why do it? What’s in it for me? This is what people don’t understand. And this is what this is the, this is how sales has completely shifted. Sales is completely shifted over the past really just five, seven, 10 years complete shift from send everybody to the back of the room to value based sales. Like how can I provide so much value to you that you’re going to want to do business with me? Brian: I give you so much for free. I’m just, I’m giving you a free book you don’t even have to pay shipping. I don’t know what’s going to happen. You may never, we may never do business ever, but it’s the law of reciprocity, okay. And which is one of the absolute keys to networking. The law of reciprocity means if I do something for you, you’re going to feel the need to want to do something back in return for me. Not everybody feels that need, but most people do. Just like if I hold the door open for somebody, you know those, those restaurants where they’re like two doors, there’s a door and you’re in a vestibule and there’s another door. I hold the door open for them and then they hold the door open for me. They feel the need to do that. Like, oh, I don’t, Adam Grant and his book Give and Take calls that, I’m a matcher and like 80% of the population is a matcher. They’re going to match you. Whatever you do for them, they’re going to, you’re going to do that for them. You scratch my back, I’ll scratch your back. Brian: So that’s the key. That’s the key to sales today is to give. And you, Joe, you experienced that when you came to our REIA. And from my understanding you did pretty well in sales without selling and now your doing deals in Birmingham and you didn’t sell from stage, you actually experienced that philosophy. Joe: Yeah, it was good. Really good. So I want everybody who’s listening to this to send Brian an Instagram DM at Brian J. Trippe, T R I P P E. And if we can get like a thousand people to get his book. Brian: I don’t know if I have that many copies left, but you know, while supplies make sure you put while supplies last. Joe: I’m assuming it’s also helped you do deals, like talk about some of the deals and relationships that’s helped you in your business. Brian: So, yeah. So the subtitle of this book is How To Become The Local Real Estate Authority by Giving Everything Away. So how do, so it comes back to authority. So I’m the guy at the front of the room, I have a podcast, I’m a guy with a microphone, just like you. You’ve experienced the same level of authority. You’re an authority figure, automatic authority. And that’s what, Robert Cialdini talks about that psychology, that persuasion psychology of sales. You’re the guy in the front of the room. You have, you have instant authority, instant credibility. Brian People want to do deals with the person that’s at the front of the room, the person with the microphone. And like not every, a lot of transactions that happen in that, in the REIA come through me. They come through me because you know, Brian, I’ve got this deal and I can’t sell it or Brian, I got two or three buyers and we can’t find them deals and I’m the one that gets all these messages and emails and yes, you’re right I have not done a single deal by myself in about a year and a half. Like we’ve partnered with our coaching students our coaching partners and we’ve partnered with other people in the REIA to do deals. And it’s just a phenomenal, just philosophy that just I fell into by accident. And it all came from just wanting to give things away and just stuff started landing in my lap. Joe: Now you still, you’ll still do coaching one on one and some group coaching as well, right. So, but you give away a ton of value, but sometimes people will still want to work closely with you and want some more of your time. So how do you, how do you structure that or where do you set the boundaries or the limits of like how much you actually do give away everything for free because your knowledge and your connections are definitely worth something, right. Brian: It’s great question Joe and here’s my philosophy. Information is like, we live in a different age today than we did five and 10 years ago. Information is, like when, when I was listening to your podcasts in 2012 wholesaling information, it was nowhere near as easy to get your hands on for free. Yeah, there are podcasts like yours, maybe Sean Terry’s, there were, there were some YouTube videos out there. Really not a ton of information out there. You could learn some stuff, but maybe not everything. Brian: Today all the information’s out there, Joe, all of it’s out there. Even your course, I know to your dismay, it’s all out there. Even you wrote a book that you give away for free and all the information’s in there. Why would people still buy coaching, if you give all the information away? Why do they still buy coaching? They buy coaching for two reasons and you mentioned one of them. One of them is network, access to your network. If I have a network, your network is crazy. My network is crazy because I, that’s all done, I’ve spent my entire real estate career developing my network. If people need money to do deals, I’ve got the money, I’ve got people in my network that can fund their deals, right? Brian: I have all the connections. So that’s number one, like access. Like they want my coaching because they’re going to get access to me, my buyers, my network, everything. And then two is speed. How fast do you want to be successful? You have all the information. I give it all away, Joe, like we do these little bootcamps, they are like a couple hundred bucks to attend three full days. They’re not sales pitches, they’re literally like just information, information I give it all to you. You have all the information at your disposal and people can run with that and they have run with it and they’ve done very, very well and I’m, and I’m happy for them. It’s awesome. But then there’s some people that need the handholding, they need that, or they may not need the super hand holding, but they just want to do it faster and we can help them with the results quicker. Joe: Yeah. So you do still sell coaching, right? But it’s after you’ve delivered a ton of value and if somebody wants to networking, if somebody wants to hand holding, if somebody wants to access to your Rolodex, you do charge a fee for that. Joe: Okay, good. That’s important because there’s a lot of people and anybody listening to this before you start going out there thinking, I’m just going to do coaching for free, that’s very difficult. Brian: You can’t do that. Joe: You can’t, that’s not sustainable. Number one, you’re going to get burnt out really, really quickly and maybe explain why people would get burnt out if all they did was free coaching. Brian: And that may be true. I don’t really, that’s not really the reason I would think. You can’t coach for free because people don’t, they don’t value free. And so I’ll give you a perfect example. We do for our current coaching students, we do once per quarter, we get together, we do group coaching all the time, but we get together for a full day and I bring in a couple of my high level friends and we get around, there’s usually about 15 or 20 of us in a room and it’s not like, not really a mastermind, but kind of like that mastermind feel but it’s really more formal group coaching where we really coach them up and, and answer specific questions and it’s a full day. It’s free for my coaching students to attend that once per quarter since it’s free they don’t value it. And so half of them don’t even show up. Brian: I’m getting the best people in our town together for a one on one, like usually group coaching is just me and them, but once a month or once a quarter, I’ll get like two or three major players in our city and me and we can all get in a group, get in a room together, half of them don’t show up and they don’t show up because it’s free. They don’t value free. So you can’t, you can’t give away your coaching, your individual one on one time for free because people just will not value it. Even the book I send you, I just know this just, it’s just factual. Nine out of 10, if not even more, nine out of 10 won’t read the book they just won’t. Joe: I did read it. I’m one of the, I’m one of the 10. I had to read it because you asked me to write a stupid forward to it. Brian: You didn’t write the forward, you wrote a little a, you gave me a little testimonial here in the back. Joe: Testimonial, I didn’t mean stupid. Brian: Yeah, you did. It’s okay. Joe: It was a good book. Okay so why are you now, why are you now doing this in other cities? What’s the whole point? Brian: The point is to take over National REIA. I mean, just being honest, I just don’t and this isn’t all of them, by the way, this isn’t all of the people who are affiliated with National REIA, but it’s the majority. Like, because I’ve seen it with my own eyes and I know a lot of the operators. Brian: I believe that real estate investing to be successful, you need to be in a community. You can do it alone, but you’re going to get burned out. You really and truly need to be in a community of other people who are doing the deals and who can help you get to the next level. I’m so passionate about that. It’s what I lacked when I got started and when I coach, even today, like I understand they need community. So we’re building community for them. Brian: Most, not all, most traditional REIA’s are not community. Like I’d go back and think about the REIA I started going to when I first got started, it’s more like a landlord association really. It’s more like just old people standing in the back of the room reminiscing about the good old days and then all the new people in the room are sitting in the chairs in the front with a speaker up there pitching a product that most in the room don’t need. Brian: And you know, hey, we only got for the first five that go back there, they’re going to get this bonus gift and we only have five of these bonus gifts. Oh, and when the five run out, guess what, they got five more. It’s just stuff like that. Like they, I feel like that old school way of doing things has run it’s course. People are sick of it. And here’s the real key. When you start, and I don’t know if you’ve seen this, Joe, this is an interesting thing that I’ve noticed just in the past two years, you’ve been doing this a lot longer than me from a coaching standpoint. I’ve noticed my coaching student Avatar today was not, it’s now a millennial. It used, my coaching student Avatar used to be the 50-55 year old who’s facing retirement, doesn’t have retirement, and they see the writing on the wall and they, they, they feel like they need to do something. Brian: Now I feel like there’s been an enormous shift and it’s, it’s the 23, 24 to 35 year old who is now my primary coaching student. And if you look at the psychology of a millennial, this is, and I’m making some generalizations here, but most millennial’s, the number one thing they crave is community. And that’s why Airbnb has done what it’s done and Uber’s done what it’s done. Community has been such a huge key for these people. I’m trying to really develop that from a real estate club standpoint is build real true community. Joe: That’s good. Good, good, good. So you want to take over the world with your real estate clubs, but then, you know, it’s not cheap to do this, right? You’re doing this in multiple cities and it costs money to get the room to get the crowd there and whatever, sound systems, how do you, how do you recover your costs from that? Brian: So we, so I own the brand. It’s all I own and the only thing I own, as far as REIA goes, I’m using a REIA, for lack of a better word. The only thing I owned from a real estate club standpoint is the brand itself and the Birmingham location. Like the Atlanta location, we have an operator who 100% owns it. Joe: Okay I thought maybe you were running all of them or something. Brian: I don’t run them all. I really act as more of a consultant. I help people start. If you want to say you’re an influencer in your town and you want to maybe get more deals, maybe you want to become a coach. We help people start coaching programs, local coaching programs, not national coaching programs, I think they have their place, but I’m not, I’m not a huge fan of the national programs unless you really and truly are like you’re doing Joe, you’re actually coming into Birmingham. Brian: You have like boots on the ground people and really helping them. Like there’s, kind of a place for that. But most of the national programs, like a Fortune Builders or Rich Dad. Again, I think that they’re fine, but they lack that component. So we’re helping these operators in these cities. Like, I mean, we got a guy right now in Columbia, South Carolina who’s knocking it out of the park, who’s a big influencer and he’s starting his own coaching program, people love him. He’s very affable he’s a great guy. Andrew Lucas send out a huge shout out to him. But so, we’ve got great operators, people like in Atlanta, operators you know, Peter Vexum and Julie Hicks, you know, that are really doing great things that they already have a coaching program, they don’t need a coaching program, but there’s Julie right there. Brian: They don’t have a coaching program, they already have a coaching program they want more to what they’re already doing and they want to be the focus of that community. Because again, when you’re in the front of the room, you demand command authority. So I act more as the consultant. They almost hire me as a consultant to go in and help them build out what it looks like to start a successful meet-up group. And we kind of call it, you know, it’s REI Live is the brand, but I’m starting to build out another, you know, almost program. It may become a program and may give it away for free, I don’t know. Brian: But like millionaire meet-up, how can you make $1 million with your meet-up in the next year? I’ve done that. Can I help other people do that too? So we’re popping up these little things with operators in cities all throughout the country, but the operator has to be influential. You can’t be brand new at this. You have to already been doing a lot of deals, be a great coach already or want to be a great coach, have a coach’s heart servant’s heart and then we help you get your coaching program off the ground and we help you get the meet-up component off the ground as well. Joe: Nice, good. Very good. So if somebody wants to do this, can they do it on their own? Do you recommend that they reach out to you? Like what are some resources that people can go to if they want to start something like this in their own city? Brian: Yeah, I think, you know, and again in the spirit of just giving things away, I think that anybody could actually go and do this on their own. There are some, I would pinpoint maybe two or three specific things that you would need to be cautious of as you get started. And we just come in and act as that consultant, you know, and just help steer you like, like how do you get, how do you negotiate a contract with a hotel for an entire year to get a great deal? Things like that. Where to book the space. How much space should you book? Just little simple things like that. Should it be at a hotel? Should you have it in a bar? Should you have it? You know, we’ve kind of, you know, I guess tested all these things to where we know specifically, you know, guess what? Brian: Yeah, you do need to have it in a hotel. You don’t need to have it in a bar. Anyone can do a meet-up. And here’s the order of events. You need to have a very specific order of events. The speaker is key. You’ve got to have a dynamic keynote speaker and you have to have a relationship with these speakers to where you could bring in a guy like Joe McCall and he won’t sell at your event. So you can draw a lot of people there to come to your events. Like Tom Kroll is coming in June to Atlanta, to the Atlanta one. So we’re bringing in these big names that are going to be huge draws to bring people into the room, which benefits us and we’re going to give them the speaker, the ability to lead capture so they can make money too. Brian: So there’s all these different components. Anyone can start a meet-up group, but there’s all these specific components that that’s why you might use somebody like me to help you actually get that off the ground. And if you want to use the REI Live brand, you know we would, you know, we talk about that too, but I’m really, I’m more. Joe you asked, you know where they can go for more resources, I’m more just I provide value, you know, if somebody wants to jump on a call with me and they’re, and they’re serious about it, I don’t mind kind of helping them out, but if they really want to take it to the next level, definitely contact me. Joe: Yeah. And I’m going to be in Atlanta May or April 18th right? Brian: April 18th Joe McCall speaking at REI Live Atlanta, fired up about that. Joe: Nice. And you, so you had your first meeting just a few weeks ago, right in Atlanta? Joe: How many people did you have there? Brian: We had 85 at the launch. Joe: Awesome. And that’s really good for a first time. Brian: Yeah. We had 85 at the launch and I didn’t know this, there’s like 10 or 15 meet-ups in Atlanta, maybe even more. And I didn’t know this at the time, but there’s not like a really big one that’s going on the same night as the one we had ours. But hey, collaboration over competition that same person actually reached out to me and we’re going to try and work together. Joe: Nice. Yeah. Good good. So I’m going to be in Atlanta April 18th. Where can people go to get more information about the Atlanta RIA or the Alabama REIA or some of the other ones? Brian: Yeah, right now. So we’re building up the website. The website can be REILive.TV. REILive.TV. The premise is to actually, you know, broadcast our keynote speakers. We’ll be broadcasting, we might broadcast you, but we usually broadcast from Birmingham. But April in Birmingham, we have a great guest speaker in April coming to Birmingham. So we’re, we may use yours to do like tape delay or something like that, but that’s the, that’s where the live component comes in, REILive.TV. You can go to that website, my contact, we’re still building it out. So it doesn’t look anywhere near like it’s going to, but just contact me. Find me on Facebook. I know Joe’s going to tag me in this, find me on Facebook, find me on Instagram. Just reach out to me for right now we have different pages. You can go to Facebook.com/REILive.TV.com, Facebook/REILive.TV. It’s the main Facebook page, but then every affiliate is going to have their own page as well. Joe: So you can actually do at dot? So it’s Facebook.com/REILive.TV. Brian: Yeah, the dot is, so if you know anything about, you know, like people who put dots like in their email addresses and things like that, the dot is actually meaningless. You can do it with or without the dot. Joe: Okay. So your website, that will be up soon as REILive.tv. The Facebook page is Facebook.com/REILive.tv. Correct. That is cool. And your Instagram handle, Brian J. Trippe T R I P P E, if people want to get your book and cool, any other words of advice Brian, you want to give to people that you know, they may be interested in this. They just kind of, I don’t know which, why or what’s the next step? Brian: I think I would want to talk versus maybe I think your audience is going to be more, the person who might show up at one of these events not necessarily wants to start one. Joe: You know, you’ll be surprised. Brian: It can be both. I want to try to really provide value. I would say this, if you’re not going to your REIA, maybe because you maybe, maybe because you didn’t know about it and you should need to look it up and you should go to your local REIA. I don’t care if you love it or hate it, you should go. If you’re not going to your local REIA, you need to go period. And I don’t care if it’s the greatest thing in the world or the worst thing in the world. And here’s why you, you can’t do this business alone. Brian: You have to meet people. The single most important thing in real estate, and it’s not even close, like number one is here, and number two is like, like on the ground, like number one is networking. You have got to meet the right people. And most people don’t know how to network in my opinion, because I’ve seen it. You have to really, you have to, if you’re going to network with someone, you have to go into it with intentionality. And you have to lead with giving. You have to lead with how, what can I do for you? And that’s the true essence of networking, building relationships. You know, Joe, I’ve recently come to come to this conclusion. If you want to know what the secret sauce to real estate it is, everyone says they have the secret sauce. You don’t know what the actual secret sauce to real estate is? Brian: I’m going to give this, this is a huge epiphany for me. See, I want to get your take on this. Maybe you agree with me maybe you don’t. Joe: Okay I’ll tell you. Brian: The secret sauce when everybody’s, Oh, you know I’ve got a competitive advantage in this and this, this, I think real estate is so copyable everyone copies everybody for the most part. The real distinct advantage in real estate is the fact that you’ve been good and generous to so many people along the way that they want to actually help you. That REO agent that, that you are great too now wants to bring you the deals and not anyone else, that the person that has the list that they could give it to anybody but they want to give it to you because you’ve been so generous and so great. So you’ve got that competitive advantage. You’ve got, you’re getting these deals that no one else is getting because you’ve been so generous and so, and you’ve led with value to so many people. You’ve developed that reputation, that integrity that people just want to do. They would rather do business with you and make less than with anyone else. Joe: That’s good. How can you disagree with that? Brian: That’s the secret sauce, man. Joe: Very good. Hey, thanks for being on the show. Roll tide. Joe: I’m supposed to be a Mizzou fan. I live in Saint Louis, right. But you know, I was raised in San Diego, went to college in Iowa and traveled all over the world. I don’t have a real favorite college, but anybody out there, if you want to send me your favorite college sweatshirt, I’ll wear it and talk about it on a podcast and I’ll pretend to be a fan. Brian: That’s a great way to get, to increase your wardrobe there, Joe. Joe: Well, I need more hoodies. Everybody needs more hoodies. I got so many of them right now, but hey man, I appreciate it Brian. You guys, you should read his book. It’s called Nothing’s For Sale. And can you get it on Amazon? Brian: You can get it on Amazon, it’s $8.00 bucks on Amazon. Joe: All right. Or you can send him a direct message in Instagram. So it’s at, Brian J. Trippe, T R I P P E. It’s all in the comments down below and all of these. Also, by the way, will be in the show notes at The Real Estate Investing Mastery Podcast website at RealEstateInvestingMastery.com RealEstateInvestingMastery.com. Listen guys, I want to tell you before we go here real quick, if you like this podcast, please leave a review in ITunes, go to ITunes, go to Stitcher. I don’t know if Google Play lets you do reviews I don’t think they do. Wherever you listen to podcasts, if you can leave a review, I would really, really appreciate it. Let us know what you like about the show. Let us know what you don’t like about the show. Joe: Let us know your thoughts. If you’re watching this on Facebook or YouTube right now, please leave some comments down below and just say hi. I’d love to talk to you and see how it’s going. All of the links we talked about are in the comments down below for Brian, you can also go to RealEstateInvestingMastery.com to get the notes as well. It’s been a good interview, Brian I appreciate it, man. Brian: Guys. Joe Is the absolute real deal holyfield no doubt about it. You need to definitely do everything that he’s, anytime he, if you’re in Atlanta, you need to get to get to him. Get to that event. Get his book. Is it The Wholesaling Lease Option book, is it still out there Joe? Get that book. I asked you to send me a signed copy and I got the regular copy so I’m going to bring it to Atlanta to get it signed. Get the book guys. Joe is the real deal. Joe can’t thank you enough for everything you do for not just me, but for the entire real estate investing community. Love you man. Joe: Thanks Brian. If guys want my book, it’s free, but you got to pay shipping and handling. So Brian’s trying to embarrass me, but I’m not going to let it happen. If you want my book, it’s absolutely free, except you got to pay like six or seven bucks for shipping and handling. And I don’t make any money just from the sale of his book. It’s, it is such a good book. 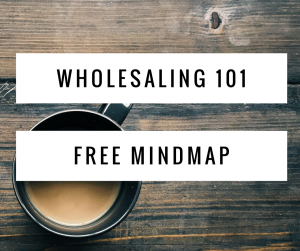 Wholesaling Lease Options. Check it out. WLOBook.com hey, thanks Brian. Appreciate it. Have a good one, man. We’ll see you guys.